Rocky Mountain National Park is the second park we are featuring on the countdown to the 100th birthday of America’s National Parks in August. This expansive park is located in the north/central area of Colorado and features vast, mountainous landscapes. If you are searching for a scenic drive, this is a great choice! We entered through Estes Park, which is a super cute and surprisingly fun little town nestled deep down at the base of the mountains. 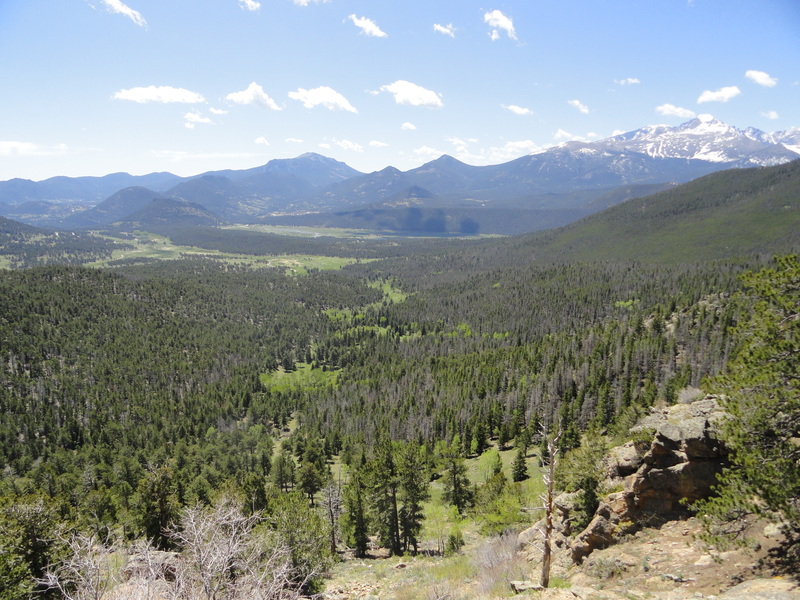 The entry to Rocky Mountain National Park is not far from the west end of town. The roads throughout the park are long and winding with steep ascents into the mountains that provide plenty of overlook stops for taking in the majestic panoramas. Here, you can also have some wildlife viewing opportunities, but we only saw elk during our time in the park. This park seems like it goes on forever. We know we only were able to cover a small portion of the park’s territory. There are opportunities for camping, visitors centers and a variety of outdoor activities including hiking, horseback riding, and more. In close proximity to Denver, Rocky Mountain National Park is a great stop to add to your list this year! Want to see last month’s post featuring Americas first national park? Click here for information on Yellowstone! It’s beautiful there – you will love it! Wow, what a stunning National Park. Beautiful photos.